Quote There are dark places in the world inhabited by evil denizens. Places filled with danger and foreboding where no ordinary man would dare to journey. However, there are a few who are willing to risk death in the name of good, in the name of justice, in the name of.. valuable loot! 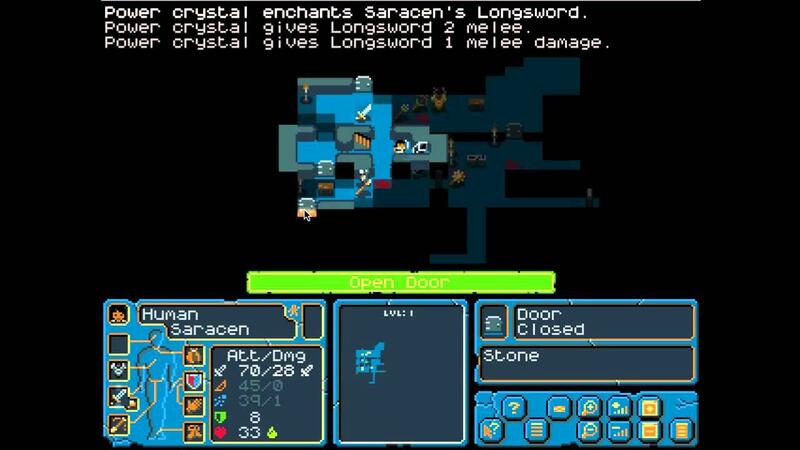 Hack, Slash, Loot(HSL) is a single-player turn-based dungeon crawler for Windows, MacOS, and Linux. Take control of a lone hero and explore sprawling dungeons, fight dangerous monsters, and most importantly, plunder valuable treasures. HSL features thousands of items, monsters, and dungeon features, and with a new dungeon created every game you can be sure that no two plays will ever be the same. Boasting easy to master controls you'll be adventuring in no time, but there is still enough depth to challenge the most hardened of adventurers. Now I was never a fan of these types of games until Dungeons of Dredmor came out, but now I see how good they can be this one looks awesome with solid game-play and cute graphics, not one to miss!